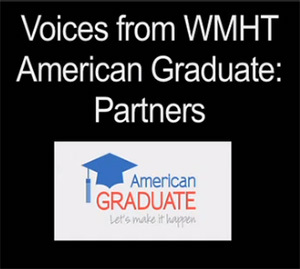 What do WMHT American Graduate Partners have to say about the project? • Voices from WMHT American Graduate: Meet Sidra Chaudhary. View video below. WMHT American Graduate partner, Sidra Chaudhary, is the Project Director of Liberty Partnerships Rising Stars Program at the University at Albany. The Liberty Partnerships Program is a middle and high school intervention program for young women and men who are at risk of leaving school before graduation. The program serves students within the Albany City School District. Sidra shares her thoughts on her involvement with the WMHT American Graduate Project and how her involvement has affected her work and her students.